Around the time Q was starting preschool, I started watching TED Talks by Sir Ken Robinson about the current state of education and it really got me thinking. Mind you, I don’t necessarily have anything against public or traditional school. I realize it works really well for a lot of people and there are many amazing teachers out there who genuinely care about their students’ educations. I also realize traditional schools, especially public schools, are extremely complicated systems still in the process of finding what works for the most people, and therefore have many problems with no easy solutions. I also know that it’s not the only option out there. I started considering homeschooling when I finally asked myself, “Why not?” If I have the desire, the will, and the opportunity to teach my own kids, so why couldn’t I? Of course there are many reasons that popped into mine and Andrew’s heads at the time. But that’s when we started looking deeper into it and the more we researched and talked to people, the more it started seeming like a real possibility. I’ve been really wanting to use this space as a place to explore and talk about our experience into the realm of homeschooling. Even if it’s a path that we decide isn’t going to work for us, hopefully others who may be exploring this same route may find some valuable information here along their way. 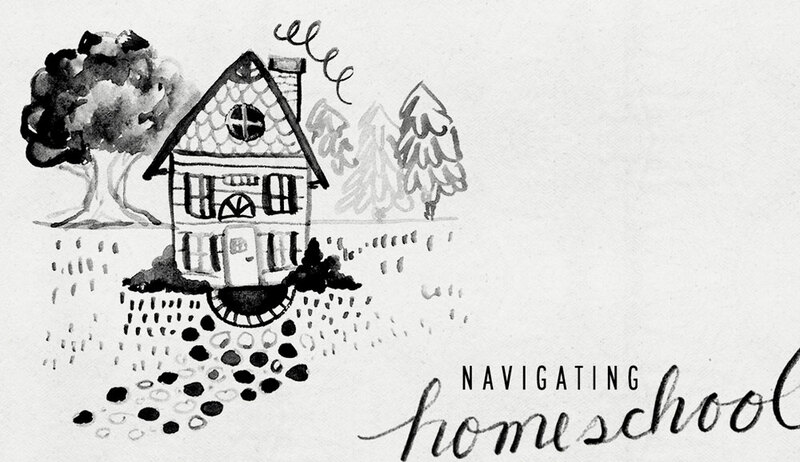 I’m working on a series of posts centered on homeschooling and what we’ve learned so far, so stay tuned! I’ll leave you with a few insightful talks by Ken Robinson that left me really inspired me. Hopefully they do the same for you!